The asphalt shingle roof is a staple of the roofing world—it’s durable, inexpensive, and easy to install, which is why you’ll see asphalt shingles on at least 90 percent of roofs in your neighborhood. 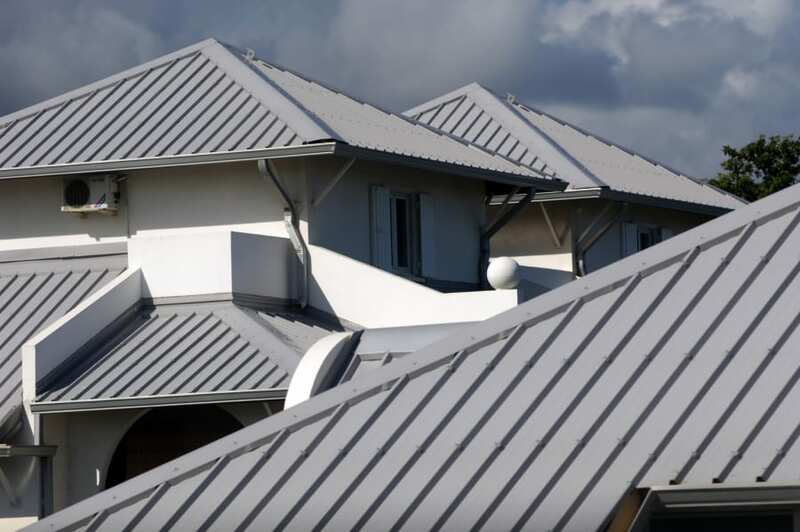 However, metal roofing is becoming a popular option for homeowners as well because of its wide variety of design options, long life, and a sleek and sturdy look. So what should homeowners choose? Is an asphalt shingle roof or a metal roof ideal? You can view more information about Shingle Roofs here and Metal Roofs here. In this blog, the Albany roofing professionals at Infinite Roofing & Construction will debate the pros and cons of asphalt and metal roofs to help you make the best roofing decision possible for your home. The asphalt shingle roof will always be the most popular option because of its affordable price—most asphalt roofs cost around $3 to $6 per square foot. That’s a solid price point for the lifespan of an asphalt roof, as many of these roofs last 15-20 years with frequent maintenance. However, that maintenance comes at a cost—you’ll need your roof to be inspected and repaired at least once every two years. Due to the fact that asphalt roofs are susceptible to wind, rain, and snow damage, you’ll also pay extra for repairs, and you might even have to pay to fix water damage in your home if your roofing doesn’t hold up in extreme weather. This can make an asphalt roof more expensive than initially anticipated. A metal roof is much more expensive than an asphalt shingle roof, and for good reason—while the average cost of a metal roof is around $10 per square foot (at least $6 more per square foot than an asphalt shingle roof), that roof is going to last you a very long time. Most metal roofs are projected to last up to 40 or 50 years, or even longer with mild weather, and these roofs need very little maintenance (if any), so once you have a metal roof, you essentially have a roof for life. While metal roofs don’t have too many maintenance costs, you’ll definitely pay extra up front. It takes a highly specialized roof team to install a metal roof, which means you’ll pay more for roofing services and labor than you would with an asphalt roof. This can make metal roofs seemingly unaffordable for some, even though they don’t cost too much over the years. Well, it depends. If you’re planning on selling your home in the next few years, would it really make sense to spend all that money on a metal roof that you’re not going to enjoy? At the same time, do you really want to replace your roof every decade (and deal with potential leaks and damage expenses) if you know you’re going to be in your home for a very long time? These are things to keep in mind when making a decision on a new roof. But one thing is for sure: whichever kind of roof you need, trust the professionals and Infinite Roofing & Construction. We’re happy to help you find the right roofing materials for your style and your budget. Don’t wait—get started with us today!